Fall fashion is the best kind of fashion. You can start layering a little bit, but not to the point where it’s uncomfortable and bulky. It’s versatile, the colors are awesome, and everything feels fresh and new. But while I’m excited for the new fashion trends coming out, I’m more excited for one old one in particular that I can’t get enough of: flannel shirts. 1. Layer your flannel shirt under a cozy sweater to stay even more warm. 2. Tie your flannel around your waist for a ’90s grunge vibe. It’s also great for warm fall days when the weather can’t make up it’s mind. 3. Wear your flannel open, similar to a cardigan. 4. Make leather leggings or pants more casual by adding a flannel and a big cozy sweater. 5. A great way to make your summer dress work for fall? 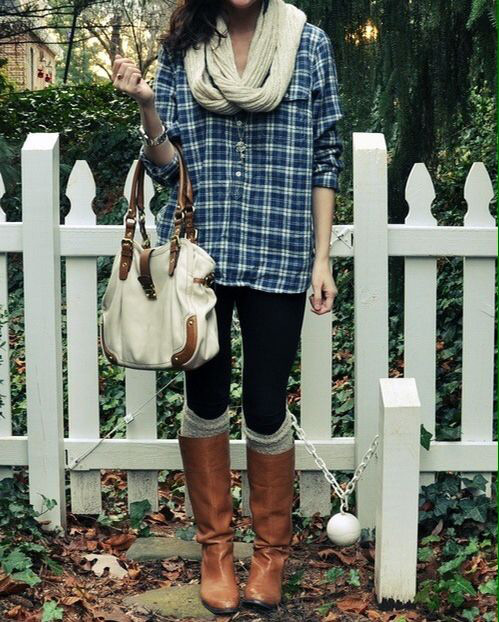 Layer a flannel over it and add boots! 6. Mix a flannel print with stripes for a very street cool style. 7. 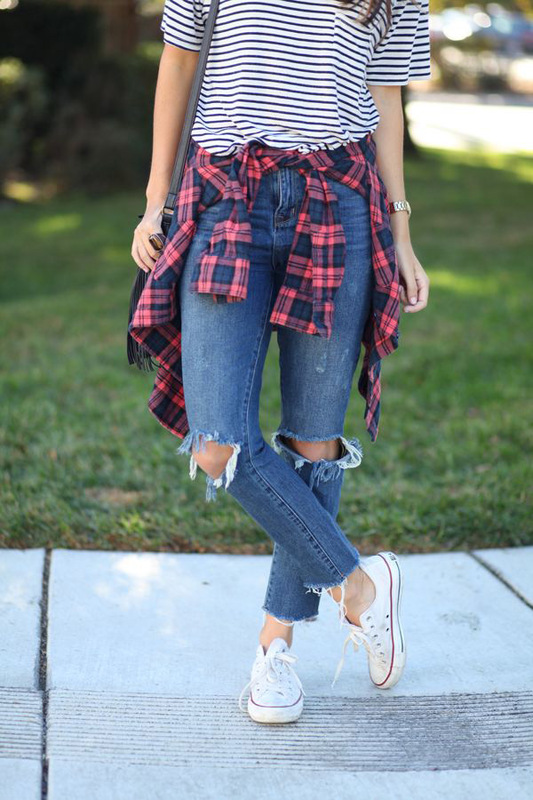 Stay comfy by wearing your flannel over a white tee, skinny jeans, and slip-on sneakers. 8. A giant statement necklace dresses up your casual flannel a little bit. 9. 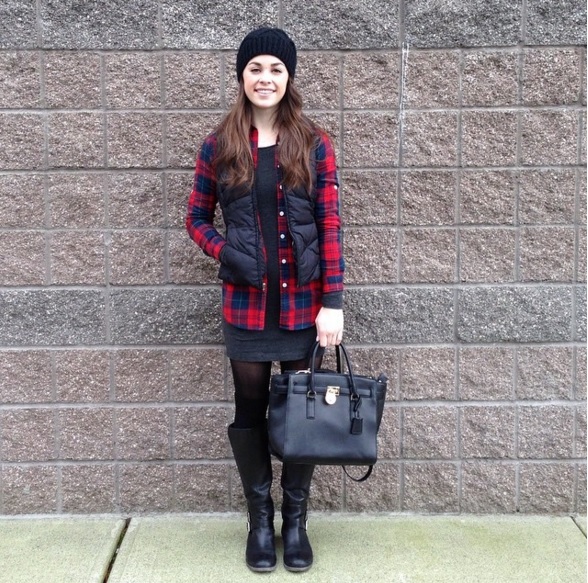 Layer your flannel over a dress, and add tights, boots, a vest, and a beanie for maximum warmth. 10. 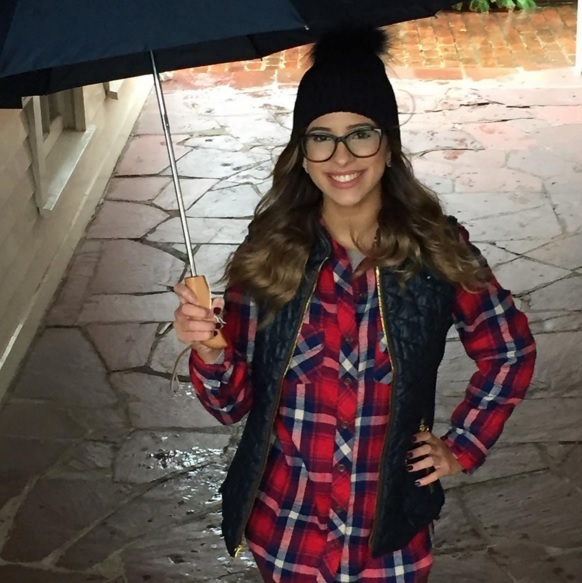 You can wear denim shorts in fall – when you add tights, a flannel, and boots. 11. Keep it simple by wearing your flannel with jeans and hiking boots. So fall chic! 12. 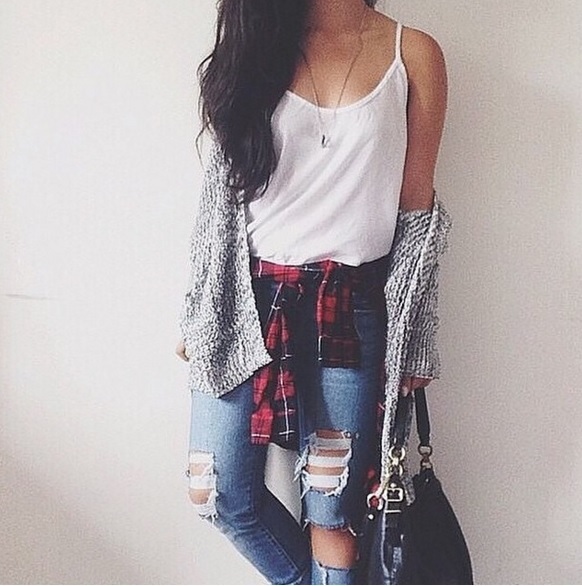 Tie your flannel around your waist AND wear an extra cardigan for some serious layering. 13. Another way to make a summer dress work for fall is to add thigh-high socks and a flannel… and some dark lipstick. 14. 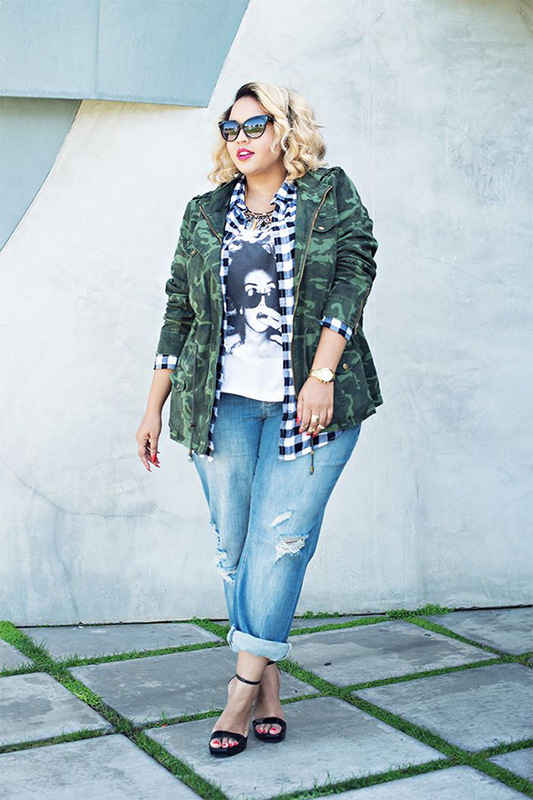 Don’t be afraid to mix prints – see how cute flannel looks with this cameo jacket? 15. 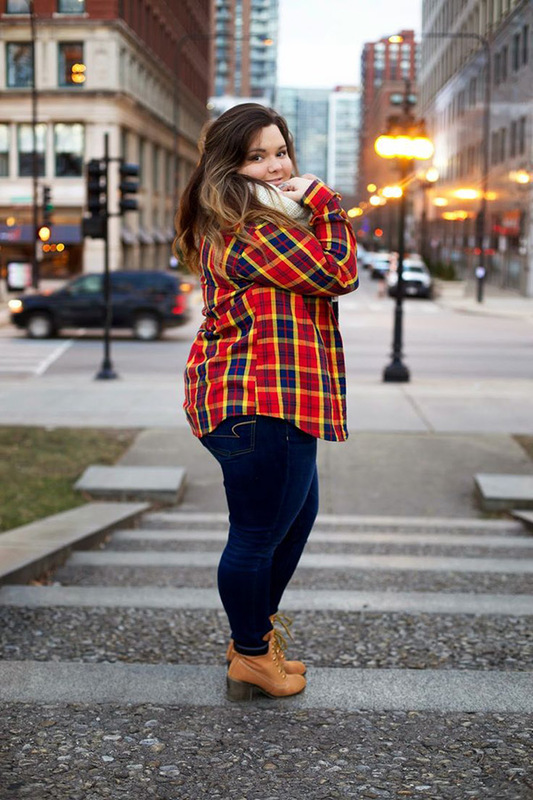 Keep it simple – a long flannel looks great with a scarf, leggings, cozy knee socks, and boots. 16. 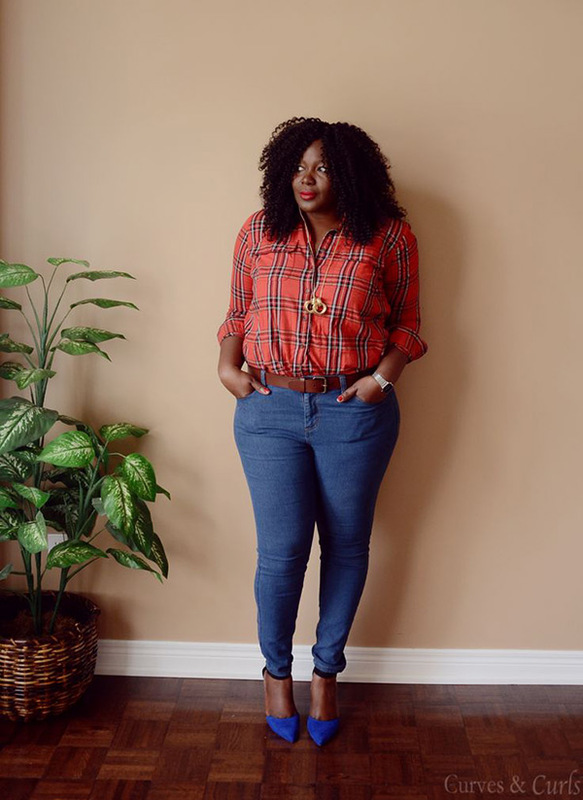 For a more dressed up look, tuck your flannel into skinny jeans and then add colorful heels. 17. 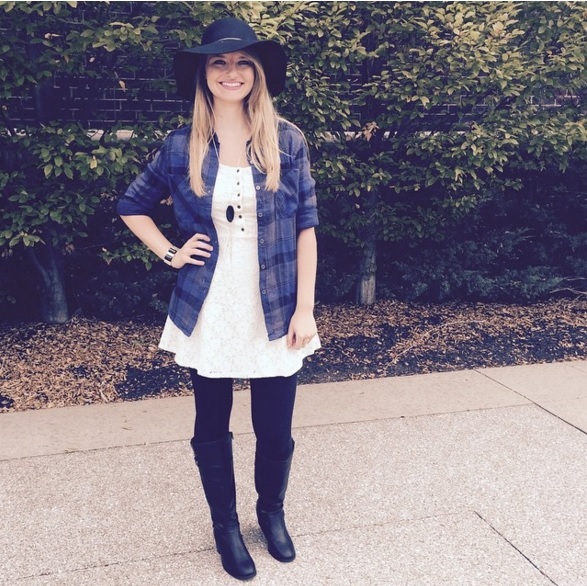 Easy fall layering= a flannel and a vest. Perfect for chilly days! 18. Leather leggings, ankle boots, a graphic tee, a leather jacket, and a flannel – it’s basically the perfect 2015 version of ’90s grunge. 19. Keep things fancy by wearing your flannel with a pencil skirt. 20. Get a long flannel and wear it as a dress over leggings. Add a belt to cinch it in.